Care to take a guess about which hashtags were most popular during Thanksgiving 2012? #Thanksgiving and #turkey, maybe? Or, what about #Sandy? I’m not sure about the hashtag answer, but I did read the ABC News report about the Instagram claim that more than 100 photos per second were being uploaded to its site on Thanksgiving Day with the #Thanksgiving hashtag. What about you? 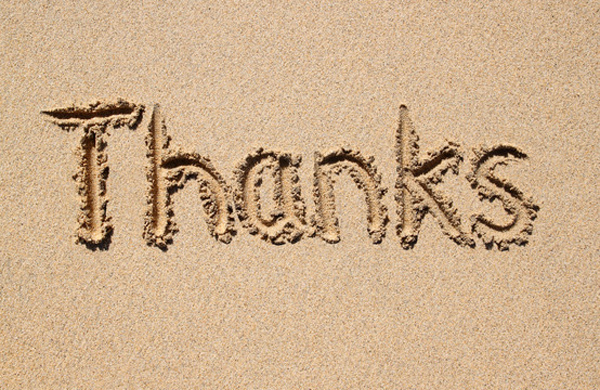 Did you express your thanks and gratitude this year via social media channels? This year, rather than via snail mail or email, I sent a Thanksgiving card to family and friends via a Smilebox-enabled Facebook post. And, what about giving this year? Have you by chance made a charitable contribution to help those in need during the 2012 Thanksgiving season? It’s not too late to make a donation to those in the U.S. who have suffered from Hurricane Sandy. The Charity Navigator organization has provided a list of legitimate charitable organizations aiding Hurricane Sandy victims. In the spirit of giving and Thanksgiving 2012, I’d like to mention another legitimate charity that is aiding Sandy victims and was recently established by a New Jersey-based musician and former N.C. high school classmate of mine. Sand Aid is a New Jersey-based charitable organization, established by Rodney Hargis, that’s organizing benefit concerts to raise funds for Sandy victims. I invite you to join me in contributing to Sand Aid. Let’s let our fellow Americans in New Jersey know that we recognize that their dreams and homes are more than the “castles made of sand,” that Jimi sang about. Let’s help them keep their foundations strong. Hi..I am Rodney’s mother and just want to thank for your kind words and thoughts concerning his work to help these folks…I am so very proud of Rodney & his wife for all they are doing in this effort…..Blessings to you and yours. Hi, Teresa! You should be very proud! Blessings to you!